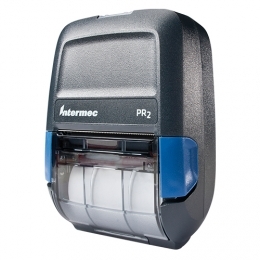 For mobile POS and payment applications you need a receipt printer like the PR2 from Honeywell. With its compact size and low weight it is a practical companion for daily mobile operation - both indoors and out. Use narrow 58 mm rolls for the PR2 and your results are sales slips and invoices crispy printed at 203 dpi. At 76 mm per second the receipt is printed in no time.